Thanks to everyone who shared their tricks over the last month. It’s been fun seeing all the talented dogs out there. In case you missed it, at the end of October—in honour of Hallowe’en—Lindsay and I shared some tricks for treats from our four-legged sidekicks. We also shared our tips for teaching your dog how to do tricks and suggested some tricks to try such as twirl, crawl, back up, shake and speak. There’s still time to post your tricks on Instagram with hashtag #MuttTricks and tag @thatmuttcom. You can also post your dogs on That Mutt’s Facebook page. Lindsay is planning a round-up post to show off your dogs! I’ve been impressed with the tricks people have been posting on Instagram so far. See them here: #MuttTricks. We haven’t quite got it down yet (human error when I drop the treats notwithstanding). There’s still a lot of luring, and he’s so fixated on the treats that I don’t think he’s processing the twirling motion yet. When I’ve tried luring him with an empty hand and keeping the treats in my other hand to reward him once he spins, he gets distracted halfway through. He loses the scent of the treats and tries to go find it. Want to see how we’ve done? To be fair to my poor puppy, I haven’t been quite as consistent as I should have been. Bax and I have missed a day here and there, so he’s not the spinning superstar that Remy and some of the other twirlers are. However, I’ve definitely seen improvement over the past week, and I feel like the motion is coming more naturally to him. Baxter’s ability to twirl (or lack thereof) was not the point of this exercise. Instead, it was about trying something new with my dog. Spending time together. Thinking in different ways. Working together. Bonding. I feel like we’ve done all of that, and it’s been fun. Plus, it’s helped motivate me to keep finding new things we can do together. What tricks have you been working on lately? 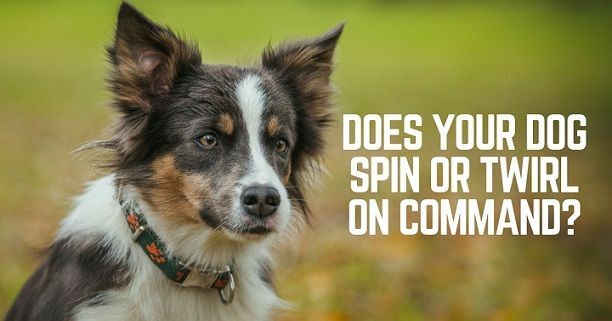 We love seeing what you’ve been up to with your dog! 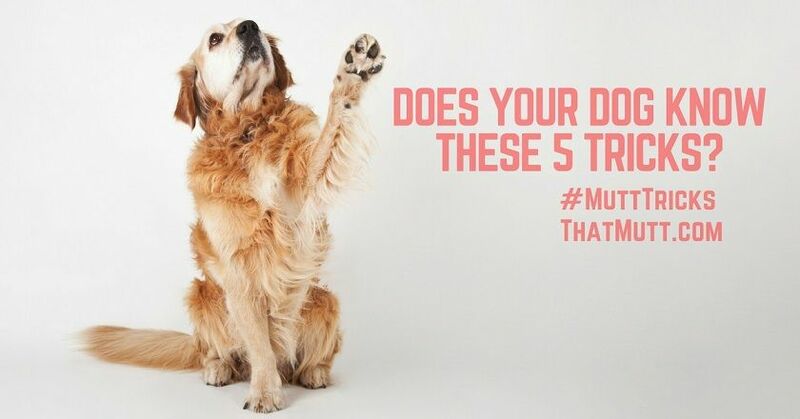 There’s still time to post your tricks on Instagram with hashtag #MuttTricks and tag @thatmuttcom. 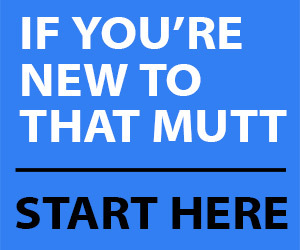 You can also post your dogs on That Mutt’s Facebook page or email your pics and videos to Lindsay@ThatMutt.com. Julia Thomson is a regular writer for That Mutt. Visit her blog Home on 129 Acres here. Baxter looks so happy working on twirl! Remy is working on “Bang!” (Play dead) and roll over. He gets them confused since I made the mistake of teaching them too close together before he really caught on to one. I think he’s more happy to be getting treats than for twirling. I love “bang” as a trick. I think it’s so clever–and a great example of how you can turn pretty much any word into a command.